We are always looking for ways to make our bespoke furniture even better, especially when it comes to applying the finishing touches such as a silky smooth sanded surface or a seamless spray or lacquer. In the past our hand-built furniture has sometimes been far more labour intensive than it needs to be, for example when we sand large wooden pieces by hand. Now with two new pieces of equipment, we are not only able to complete large projects faster, but can also ensure an even more consistent quality of finish – and we’ll explain why below. 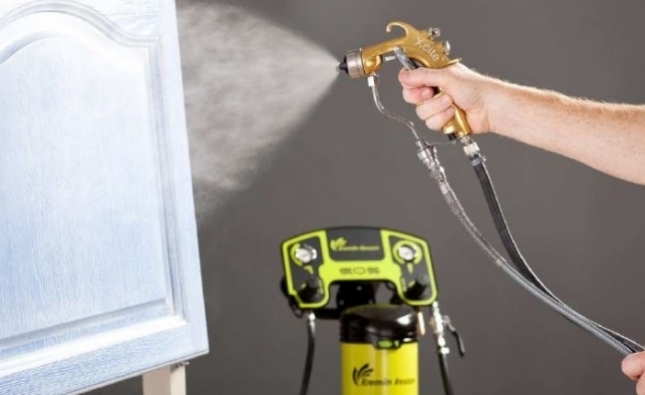 Two new pieces of equipment have upgraded our workshop capabilities, especially in cabinet making and spray finishing, so that we can complete large bespoke orders faster than in the past. We have added a new wide belt sander and a continuous lacquer spray system, both of which mean we can still give our bespoke furniture personal attention, but with the benefits of tools that partially automate the process. This means we can take on larger orders, including multiple items of bespoke furniture for commercial clients in hospitality, offices and other industries, as well as our work for domestic interior design projects. As always, we continue to offer our wide range of different hard surface finishes and upholstery for soft furnishings, allowing you to choose the look and feel that you want for each item we produce. 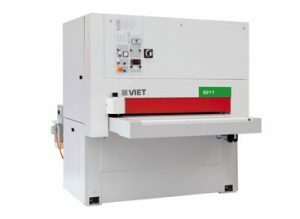 Our investment in a Biesse Viet wide belt sander speeds up the preparation of large wood pieces, in particular table tops and similar components. While we have hand-sanded such items in the past, it could easily take up to an hour or more of workmanship to achieve the desired finish – a process that is much faster with the belt sander, which can deliver a consistent finish across larger areas in much less time. The benefits of this are obvious in terms of the man hours that go into each item we produce, but there are further advantages too, including freeing up more time to take on extra orders and reduce waiting times for new items of handmade furniture. We had a similar problem with our spray lacquer finishes, as the gravity guns we used were limited to around 500ml of lacquer at a time, which meant we would frequently have to stop spraying to mix more polish and refill the gun. 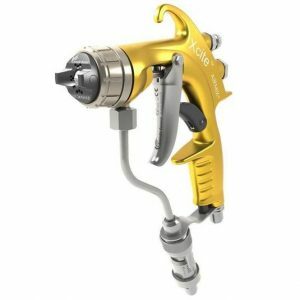 These small interruptions quickly add up to long delays over the course of a project, but gravity gun systems are an excellent way to deliver the lacquer onto the piece – so our new Kremlin spray system is the best of both worlds. 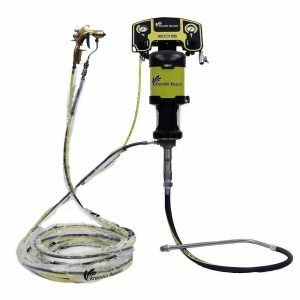 With a Kremlin Airmix pump, we are able to deliver lacquer directly from a 20-litre drum or similar container, allowing us to mix lacquer just once even on very large jobs, and ensuring it gives a consistent finish across the entire surface of the piece.